For boys and girls ages 18 mos – 4 years. This class requires parents to stay and participate with their child. Tumble Tots is designed to introduce children to the basics of gymnastics and get them on the path to our drop off, Kindergym classes. The 1 hour long class is structured by a coach who sets up circuits on the events and supervises parents as they bring their children through the stations. Tumble Tots offers a relaxed environment for those little ones not yet ready to be dropped off while still teaching using a structured environment. For boys and girls ages 3 years – 5 years ready to be dropped off by mom or dad for class. Kindergym participants must be fully potty trained and willing to be involved in the group activities. 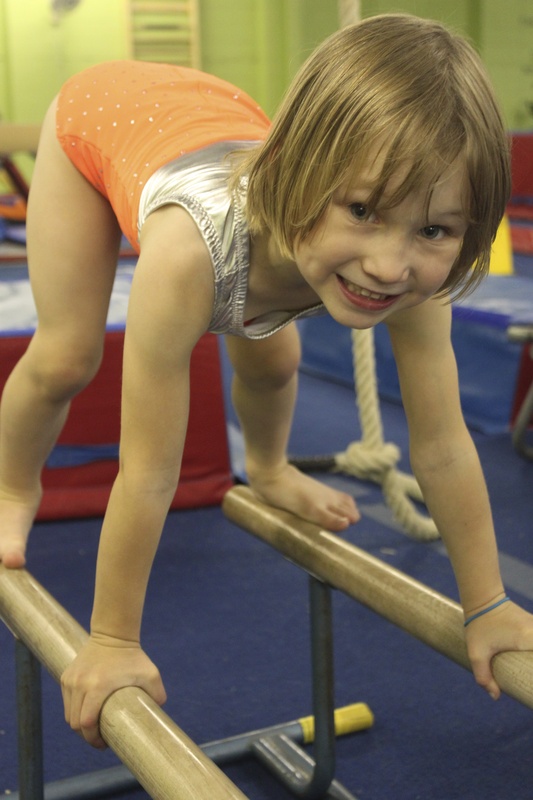 Aereo has designed a progress program for our Kindergym level gymnasts called KINDERSTARZ. Gymnasts will begin to develop the basic understanding of gymnastics shapes, balance, strength and key listening skills. The hour long class includes a 15 minute choreographed dance warm up, 10 minute rotations to each event and a 5 minute jump session in the foam pit! fundamentals and guide the Recreational level gymnasts to entry level Competitive classes. CANGYM aids in goal setting and allows coaches to monitor progress while ensuring children are well prepared to advance when ready. At the end of each season term, gymnasts who have mastered their skills will be awarded a Badge for the completion of each Level from 1 through 12, or a progress report to show what skills they still need to achieve their desired level. For girls ages 10 years – 14 years beginners to advanced. The 90 minute class includes a 15 minute choreographed dance warm up, 15 minute conditioning and flexibility training and 15 minute rotations on each of the 4 events. Much like our Recreational classes, our Developmental aged gymnasts are guided through the CANGYM program and encouraged to strive for their badges. Many girls beginning gymnastics aged 10 years and up will find they may struggle with upper body strength and development. We make sure to target their conditioning accordingly and help challenge them to reach their gymnastics goals whether that be a cartwheel or a back handspring. Developmental level gymnasts will also receive progress reports or Badges once earned at the end of the season term. For girls ages 5 years – 7 years. Our Advanced Kindergym classes are developed as a pathway between Kindergym and Pre-Competitive. These 2 hour classes are very conditioning and strength training structured. 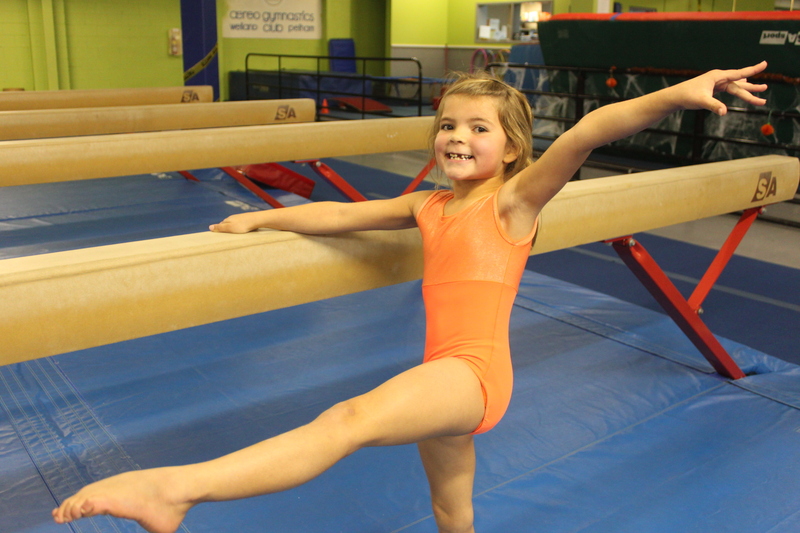 Gymnasts will begin to be pushed in strength, flexibility, speed, endurance and begin basic skill training. In order to ensure success at the Competitive Level we spend a lot of time on basic gymnastics like Handstands and shaping drills. We ask that parents only seriously interested in the Competitive pathway enrol their children in the Advanced Kindergym class as space is limited. For girls ages 7 years – 10 years looking to advance to the Competitive program. These 2 hour classes are structured to further develop gymnasts strength, flexibility and skill development implementing the core skills needed at the entry Competitive Level. Gymnasts will be introduced to routine development for each event and those that show promise may be asked to join our Competitive Team. For gymnasts ages 8 years and older who have passed through the Recreational CANGYM Levels (1-5) but may not want to be a Competitive Level gymnast. This 2 hour class offers a well structured balance between conditioning and routine/skill development to help gymnasts maintain their current skill level, while still offering challenges for those looking to progress. This class is a good fit for past Competitive Level gymnasts looking for less of a commitment without sacrificing skill level.